Posted in: 1 Pageant Pages, 2 Shout-out-Looks. Tagged: Athena Catriz, Catherine Almirante, Cindy Madumma, Lorraine Erum, Miss Global Philippines 2014, Miss Global Philippines 2015, Stephany Stefanowitz. Click to enlarge the image above. Here’s another beauty pageant for you, beautiful ladies, out there. 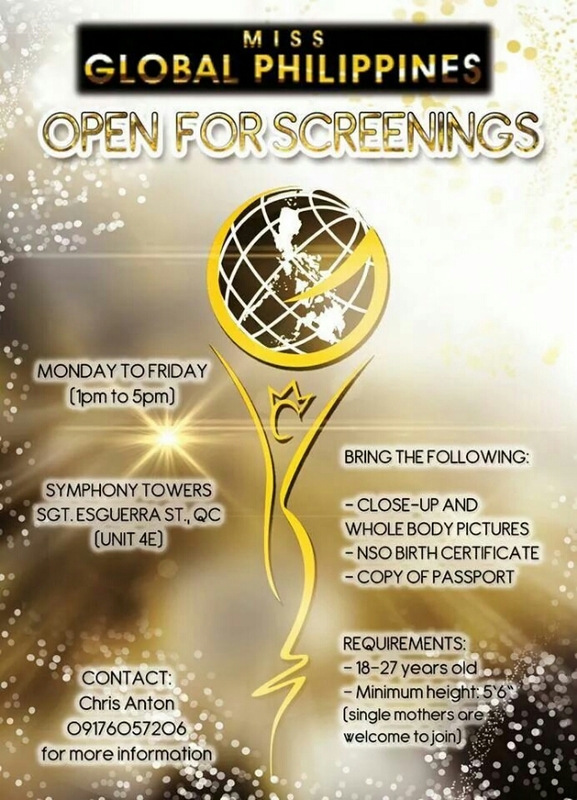 Miss Global Philippines 2015 – now on its 2nd year – is now open for screening. Last year’s inaugural was a success with the crowning of Catherine Almirante as the top winner and extending her triumph by placing 2nd Runner-Up in the Miss Global 2014 World Finals which took place inside a Royal Princess cruise ship that sailed from the US to Mexico. Three of four members of her court also went on to represent the country internationally. There is Athena Catriz who won 3rd Runner-Up in Miss Summer International, Cindy Madumma who participated in Miss Tourism World hosted in Venezuela and Lorraine Erum who flew to the island of Fiji for the World Supermodel 2015 competition. National Director Pauline Laping and Operations Manager Stephany Stefanowitz (Miss Air 2013) promise to make this year’s search bigger than the last, reason why they can’t wait to see the promising ladies who will join the beeline for 2015. Visit the pageant’s official website for more details or you can send a PM on their Facebook page for inquiries. 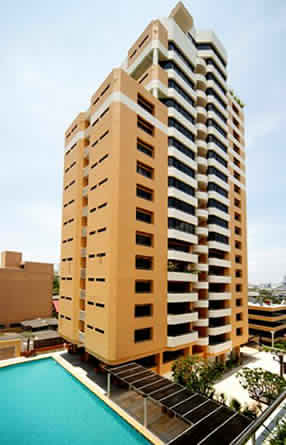 You may also call (02) 9566383. Posted in: 1 Pageant Pages, 2 Shout-out-Looks. Tagged: Alessandra Casimiro, Angelica Maranan, Anne Margareth Sanglay, Jojo Nones, Kitchie Benedicto, Kyle Rysher Federico, Laurens Tolenaars, Maria Cristine Cassandra Ralbovsky, Mutia ti La Union 2015, Renee Salud, Ryan Benitez, Stephany Stefanowitz. 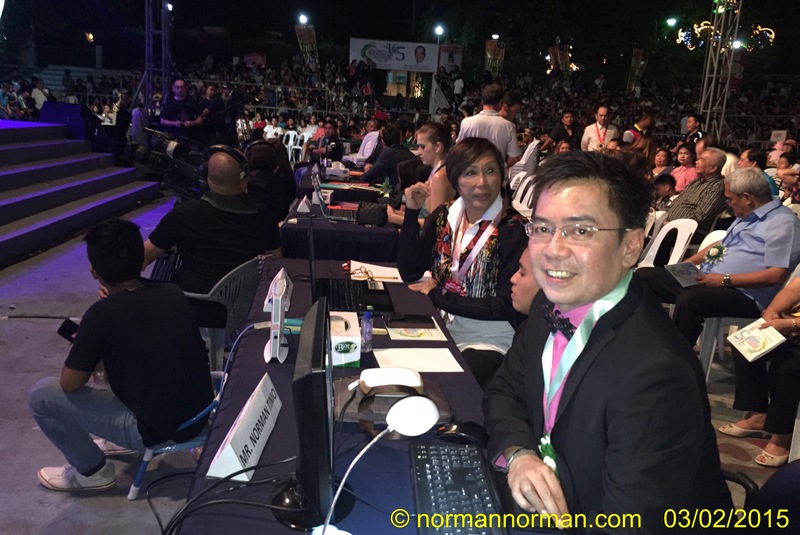 My turn as one of the judges during last night’s Mutia ti La Union 2015 in the City of San Fernando, La Union was an experience worth remembering. Aside from spending time with some of the warmest hosts, the locals gave out non-stop smiles and courtesy all-around. I was actually dead tired. Leaving Makati at 2:30am and arriving in Sunset Bay Resort at 7:45am, running on practically empty was like the order of the day. Good thing the friendly restaurant personnel at the resort prepared yummy breakfast plates that served our tummies well into the day. Sleep for four hours was ordered in our individual rooms. And then it was off to the Pre-Judging at the well-appointed La Union Provincial Capitol. The twenty (20) Official Candidates were beaming with pride as they presented to our panel made up of Fashion Designer and Beauty Queen Maker Mama Renee Salud, Miss Philippines Earth and Miss Air 2013 Stephany Stefanowitz, Fil-Dutch model and Century Tuna Superbods 2nd Runner-Up Laurens Tolenaars, TV5 Program Manager Ryan Benitez and myself. By the time the actual finals started at 8:45PM thereafter, we already had a good idea on which five (5) ladies deserved to fight for the top spots. We only needed validation of their individual performances during the Final Q&A. 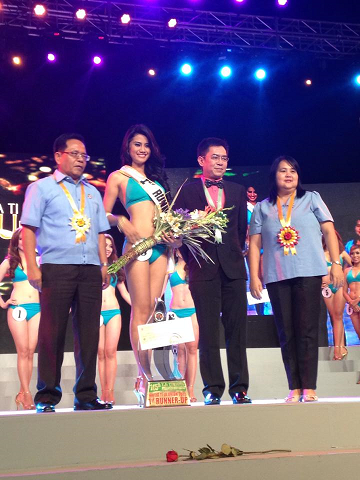 In the end, Alessandra Casimiro of Agoo proved to be the most consistent and ran away with the crown of Mutia ti La Union 2015. Early favorites Angelina Maranan of Sto. Tomas and Maria Cristine Cassandra Ralbovsky of the City of San Fernando got the Turismo and Kalikasan crowns, respectively. Runners-up include Anne Margareth Sanglay of San Juan and Kyle Rysher Federico of Bauang. Congratulations to the Province of La Union and the La Union Information and Tourism for such a well-organized beauty competition. And kudos as well to Director Kitchie Benedicto, Headwriter Jojo Nones, Executive Producer Tintin Rosales, Production Manager Grace Rubio and Casting Director Marie Gutierrez who made a concerted effort in running a tightly-paced finals event. Posted in: 1 Pageant Pages, 2 Shout-out-Looks. Tagged: La Union Information and Tourism, Laurens Tolenaars, Mutia ti La Union 2015, San Fernando City Plaza Auditorium, Stephany Stefanowitz. By the time this post goes live, I should have already left Manila and on the road going to San Fernando, La Union with some of the other invited judges for Mutia ti La Union 2015. Once we arrive there, the Sunset Bay Resort will take care of our temporary accommodations before buckling down to the business of pre-judging the contestants at 4:00PM later in the afternoon. And tonight, we will be off for the actual finals of the provincial beauty pageant which will take place at the San Fernando City Plaza Auditorium. This is going to be a pretty long stretch of a day because the official pre-judging of the twenty (20) candidates will already be quite draining. But I don’t mind. I love doing this. Quite an interesting afternoon (and night) ahead, I reckon. What’s the buzz about Rachel Peters? Posted in: 1 Pageant Pages, 2 Shout-out-Looks. Tagged: Miss Global Philippines 2014, Miss World Philippines 2014, Rachel Peters, Stephany Stefanowitz. Rachel (far left) with Stephany Stefanowitz, Yassi Pressman and a friend in Camsur last weekend. The photo on the left landed on my inbox early this morning. 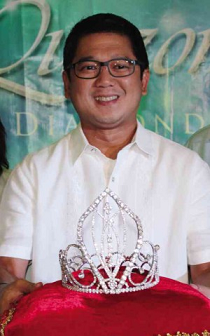 My source said that it was taken during an out-of-town party that coincided with the holding of Miss Global Philippines 2014 events at the Camsur Watersports Complex (CWC) in Cadlan, Naga last weekend. It shows Rachel Peters with Miss Global Ph Chief Operating Officer Stephany Stefanowitz and two friends. Nothing wrong with that at all, unless you would consider the fact that the former is an Official Candidate of Miss World Philippines 2014 and being seen/photographed away from the activities here in Manila will catch unnecessary intrigues from wagging tongues. Additionally, the MWP organizers will definitely not be too happy that she was somewhere else when a scheduled TV guesting on GMA-7’s Sunday All-Stars was mandatory for all the 26 OCs. I hope Rachel will make up for the absence. I would understand the excuse if she went ahead to Naga knowing that Miss World Philippines will have a simultaneous event in Caramoan Island that was postponed at the last minute because of Tropical Storm Mario. But being pictured spending time far away from the ongoing pre-pageant activities is an entirely different thing. That would have been easily avoidable. Just concerned, I guess. I never hid my liking for this Fil-Brit ever since the final screening, and was even putting her as the toughest opponent of Valerie Weigmann. Posted in: 1 Pageant Pages, 2 Shout-out-Looks. 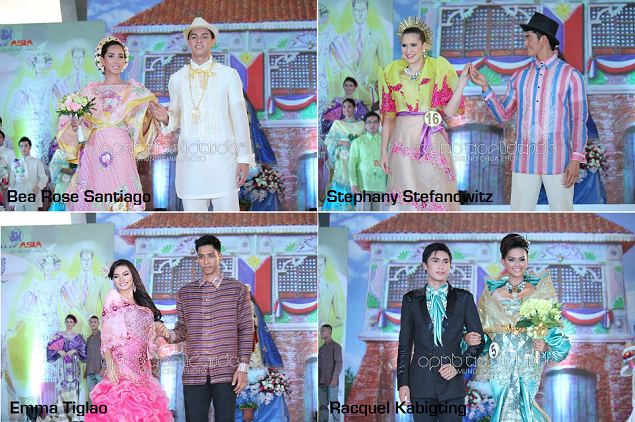 Tagged: 2014 Quezon City Diamond Jubilee Queen, Herbert Bautista, Stephany Stefanowitz. 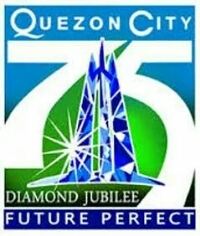 Proof positive that the Philippines just doesn’t run out of beautiful Filipinas is the youthful batch of Official Candidates for Miss Quezon City 2014 in its Diamond Jubilee Year. 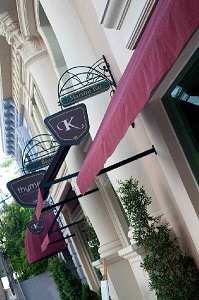 During the Press Presentation held at Annabel’s on Tomas Morato, the 25 hopefuls wore identical blue tank tops and denims, while acknowledging the clicks and shutters of the cameras all around. Quezon City Mayor Herbert Bautista graced the event and welcomed everyone. Miss Air 2012 Stephany Stefanowitz also attended the affair. Finals night is scheduled on September 13 at the AFP Theater inside Camp Aguinaldo. Posted in: 1 Pageant Pages, 2 Shout-out-Looks. 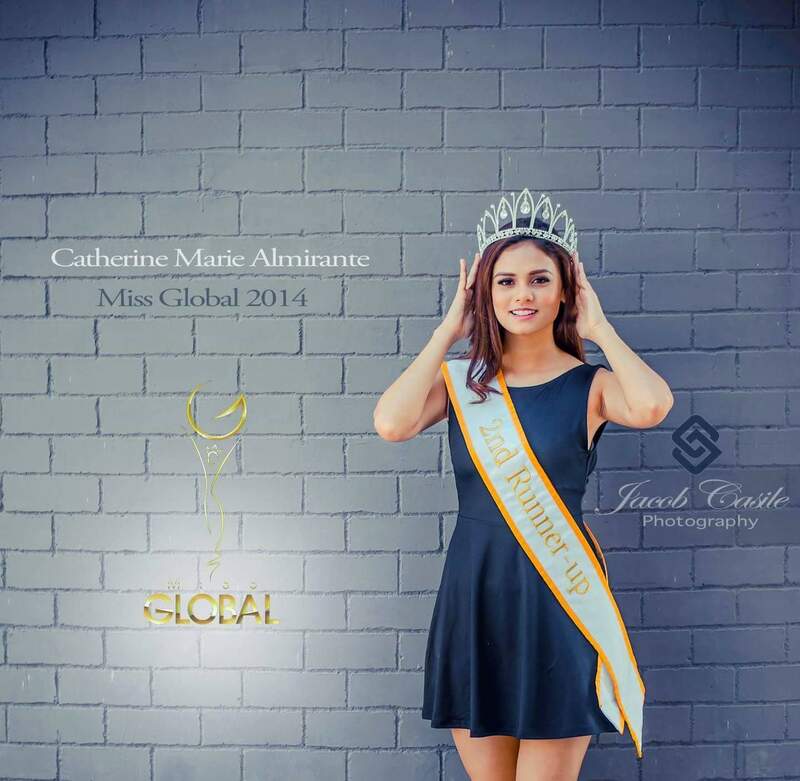 Tagged: Miss Global 2014, Miss Global Philippines 2014, Stephany Stefanowitz. Another beauty pageant got its proper launch at the Seaport Convention Room of Manila Ocean Park’s Hotel H2O just recently. Miss Global Philippines, according to the press release, is “the search for an outstanding Filipina who embodies the ideals of a Tourism Ambassadress.” With its head, Ms. Pauline Laping and COO Stephany Stefanowitz (Miss Earth Air 2012), they oversaw the event that should hopefully bring more awareness about the brand-new Tourism-geared competition. “Tourism is a very lucrative industry and it has helped a lot of Filipinos in many ways especially those living in the countryside” says Ms. Laping. 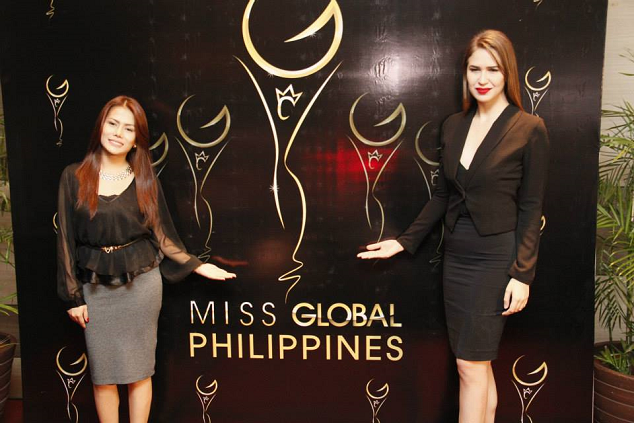 “Through the Miss Global Philippines Pageant, we hope to help our government’s initiative by staging a grand beauty event that is dedicated to promoting Philippine tourism“, Miss Stefanowitz added. They also further stated that tourism and beauty pageants have always had a significant connection. 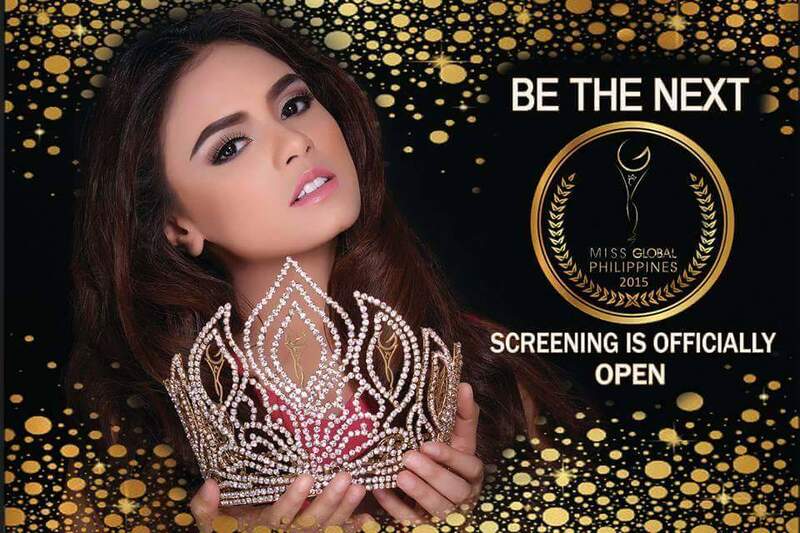 Aside from earning the right to represent the country in an international pageant, the winner will receive P300,000 in cash. 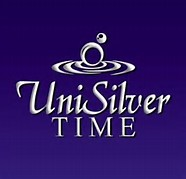 The runners-up will also get cash and other fabulous prizes from the organizers and sponsors. 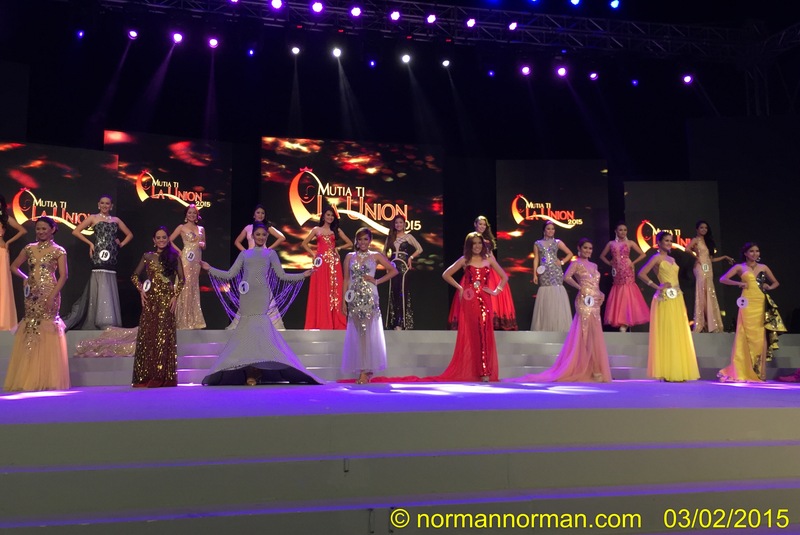 The finals of the pageant will culminate in a grand coronation night last week of August at the Resort World Manila in Pasay City. 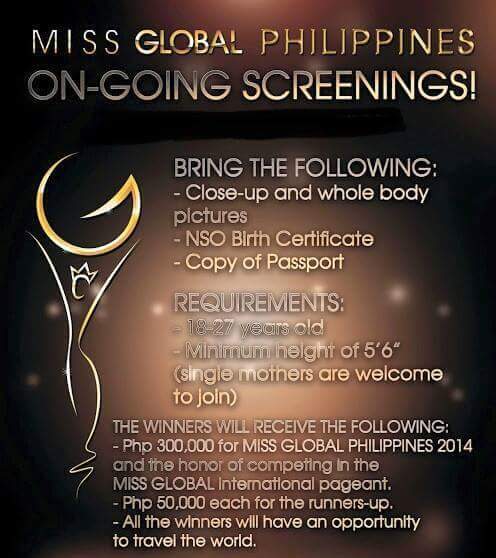 If you want to know more about Miss Global Philippines, its vision and mission, click HERE.